You’ve probably heard this story before, but here it is again. 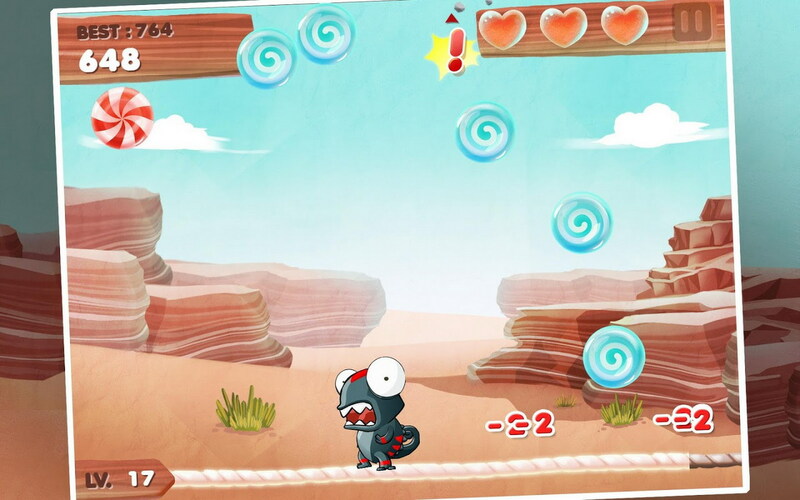 There’s a cute adorable monster who loves candy treats and its up to you to do some amazing physics styled gameplay to satisfy his cravings. BulkyPix have plenty of creative fun games in their kitty, but appear to have sided with a rather run-of-the-mill time passer with their latest launch CandyMeleon. The star of the game is a new species of Chameleon, the CandyMeleon, named so because of his love for … you guessed it – candy. 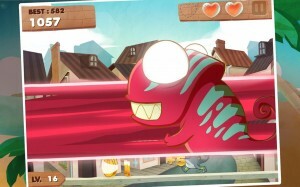 When a sabotage blows up a nearby candy factory, CandyMeleon is close by to catch the candies blowing in the wind. You must tilt your device to move the chameleon around and collect the candy in the mouth or tap on the screen to stick out his tongue and pick up the candies mid-air. All is not that easy as trouble comes in the form of enemies such as jumping fish, sneaky spiders and health sucking ladybirds. The game gives you the option to unlock multi-colored chameleons with different types of powers using the in-game currency or by spending IAPs. 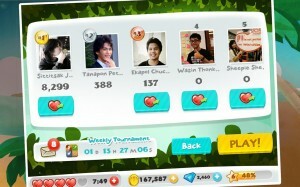 You can play in one of two modes; the Tournament mode where you will compete with Facebook friends for top scores and a Time Attack mode for an insanely stressful survival bout. 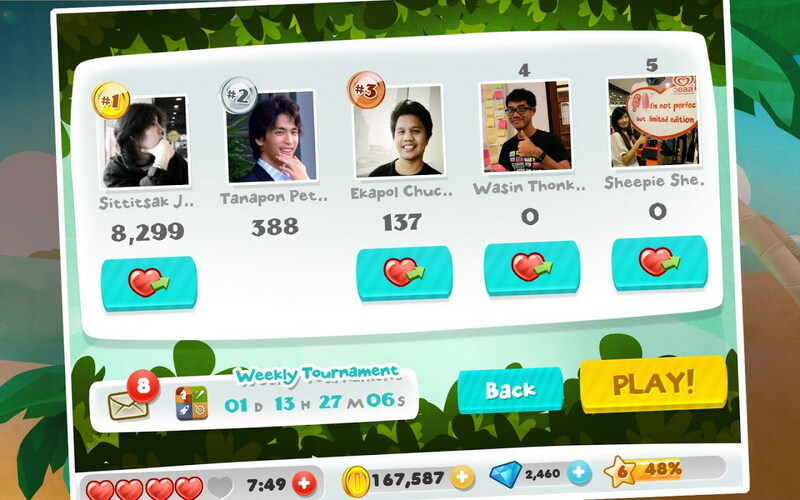 Overall CandyMeleon is a cool casual game that should help you spend a few hours in pleasant company and you won’t even have to pay for the pleasure of it.